Dare to make a statement this season and try something different. Layering necklaces has become a new trend amongst fashion bloggers, celebrities, and everyday fashionistas alike. You may have wanted to steal their style but just have not mastered exactly how to do it. Although it can be quite tricky and may take a few tries to get the look you desire, HAUTEheadquarters has the necklaces you need to make a bold, yet chic statement! 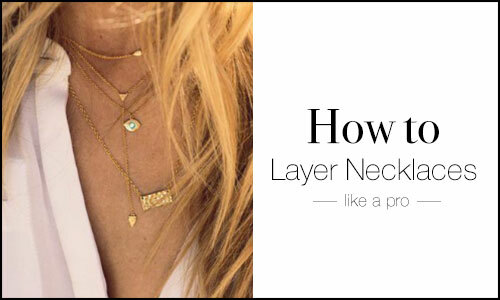 Follow these simple guidelines and you will be layering necklaces like a pro in no time! 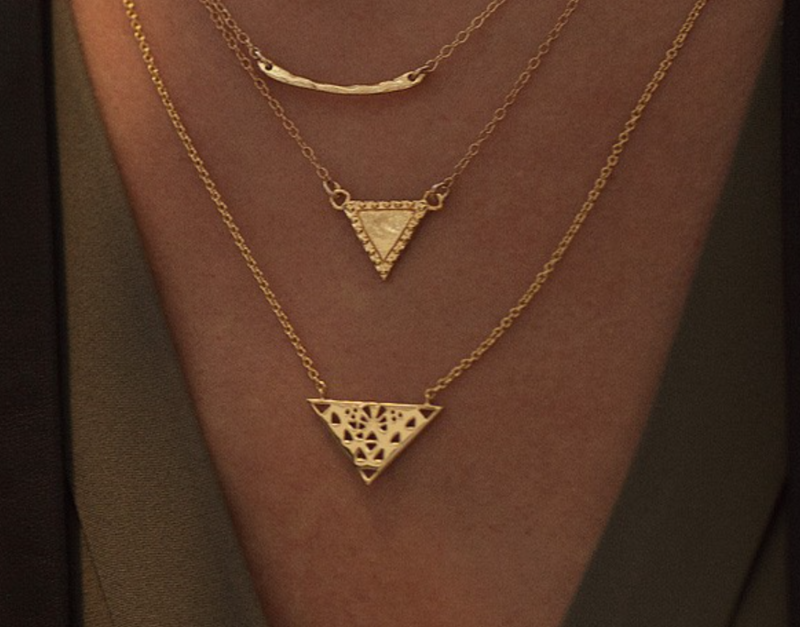 The secret to layering necklaces is to use various lengths and thicknesses of chains, with a combination of pendants. We recommend printing out our necklace length guide (found in our FAQ section) to give you an idea of the general area where each necklace you want to layer will fall on your neckline. 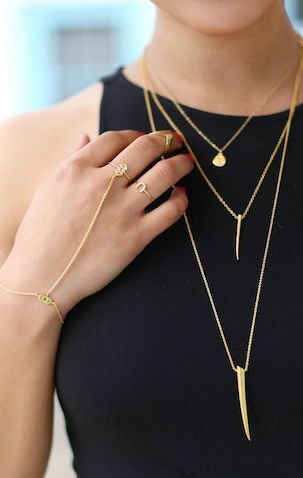 Wearing all the same necklace lengths with charms or pendants will created a stacked chaotic mess and will kill the look you are trying to achieve. Try varying each of the necklace lengths you intend to wear. A good starting point is to layer pieces that are 12", 14" and 16" inches long. If you feel that your look is too unified add a pave piece or colored stone for some sparkling variety. 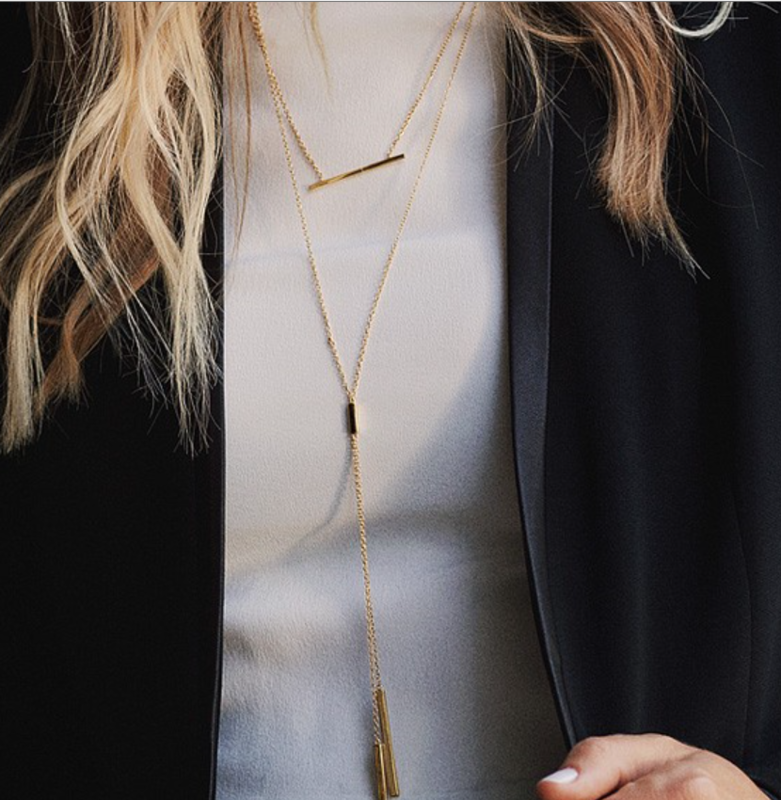 Wearing a long necklace like a tassel or dainty lariat will automatically add length to your layered look. We love seeing the quadruple layering style which consists of 16", 18", and 24" inch long necklaces combined with a 30-32" inch long rope lariat or tassel necklace. Picking personalized pieces such as a monogram necklace, initial pendant, or zodiac pendant can be fun to wear alone but will be gorgeous layered. 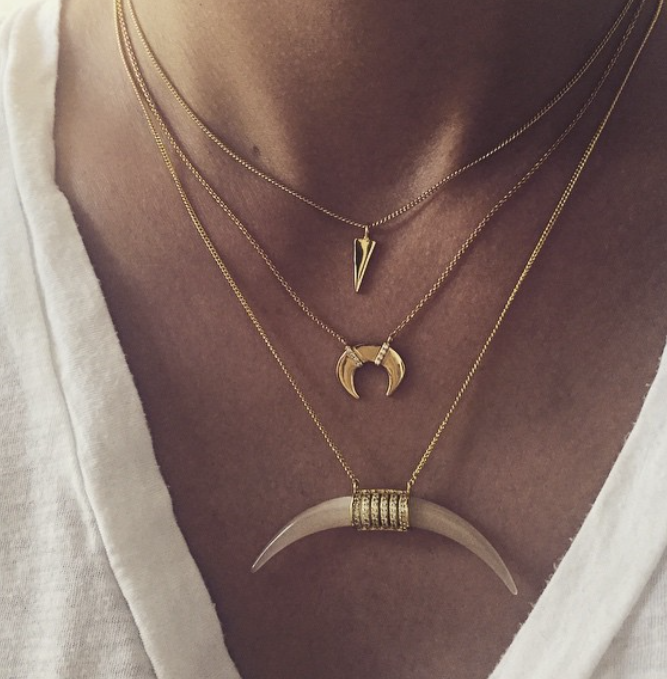 When layering your necklaces choose one that will be your main focal point and then build around that piece. 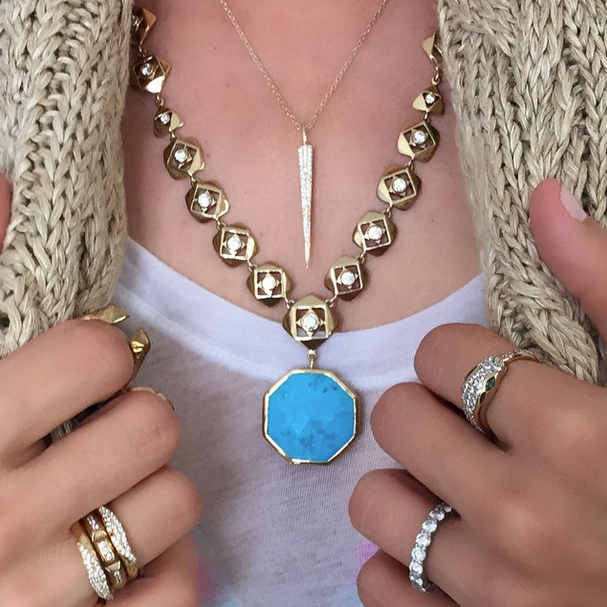 Consider mixing metals and different stones as you layer your jewelry. Mixing up Gold and Silver necklaces with a druzy stone or a sparkling pave piece will be a dazzling edition to any outfit. Picking a theme for your layered look can help you to coordinate which necklaces to wear together. Be careful with this because mixing themes can create a confusing look if done incorrectly. For example you wouldn't really want to mix boho gypsy bronze style pieces with a classic monogram necklace. The theme of your achieved look does not have to be identical, but it should flow easily and the pieces you choose should complement each other instead of creating confusion. If your necklaces are all the same length they will more than likely tangle. Fine chains run the risk or knotting together, so if you are wearing fine chains make sure they are different lengths. If your necklaces are all the same length consider purchasing a necklace extender. Found at most local retailers, these inexpensive extenders can add anywhere from 3-6" inches in length to your current pieces in turn giving you lots of layering options! Whatever you choose, just make sure you feel fabulous and comfortable in what you're wearing. Confidence is the key!